Yes, these are the same Enchiladas we sell at Hurley House (!!! ), and they is your ticket to dinner nirvana. Stacked layers of cheese-laden corn tortillas and tender chicken, all wrapped in a sour cream sauce and baked together into a gooey mess of flavor. 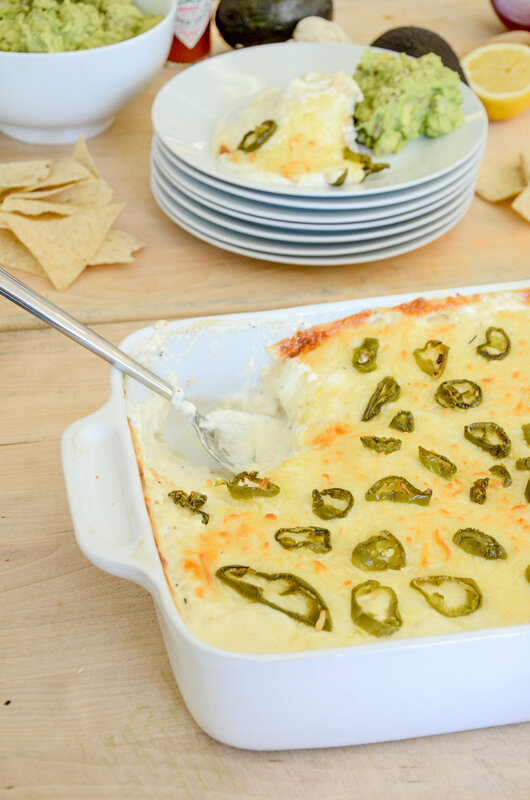 Cap it off with the zing of pickled jalapeños, and you may be ruined in the chicken enchilada category for life. Want to take it to the next level? Mix up a batch of this simple yet delicious guacamole and rest in the knowledge that you are a rockstar. No surprise, these enchiladas are one of our top sellers at Hurley House, and they were an active part of our family dinner rotation for the better part of a decade. For a printable version of both recipes, click below!